“We’ve lived in Amherst for over 36 years and while we will be leaving to live in Northampton soon (for family reasons), we will still be here regularly and will maintain an active interest in and deep caring for our town. We believe, as we know you do, that Amherst is at a crucial turning point. 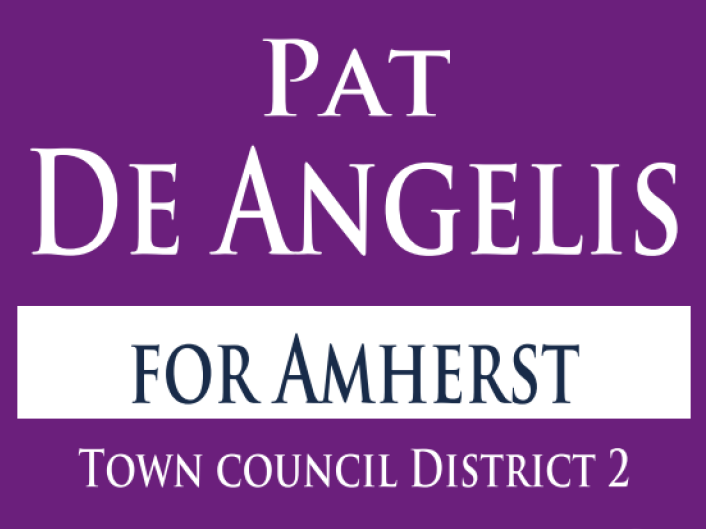 With residents of Amherst having a less direct voice in governance we are all thinking carefully about who will represent us on Town Council – who will listen to us, take our concerns seriously, and who will try to do what is best for all of us, particularly people whose voices are not represented in the circles of power in Amherst. We think this will take people of tremendous integrity, strength, honesty, and intelligence; people willing to patiently listen to many points of view and with the ability to build bridges and reconcile differences in beliefs, opinions and experiences. We need a representative who supports and lives the values of inclusion, compassion and collaboration. We need a person who is willing to provide leadership for addressing our most difficult issues- the future of our school system, issues of injustice and inequality, and the impact of climate change and to find ways to bring people together to address these issues at the local level.